!! Happy publication day !! I’ve read and enjoyed a few of Tom Bale‘s thrillers in the past, so of course I couldn’t resist his newest title. I mean, that cover alone is on fire! I’ve experienced so far that Tom Bale likes to write his thrillers to be fast, extremely intense, disturbing and overall shocking. One Dark Night is no exception to this rule and is yet another tense and nailbiting story. Intense is an understatement here! The writing style is lightning fast, gripping and draws you right in… If you are looking for an intense and disturbing thriller, you will get a healthy dose of creepy and extreme emotions right from the start. Because One Dark Night starts with a bang, and will keep you on edge until the very end. Sure, there seems to be a break in the middle, but be ready to get a plot twist bomb thrown at you and brace yourself for a surprise… Nothing is as it seems, and it will only be over when the author says it’s over. That said, I did have to ditch a star for the overall lack of credibility of the plot. It seems more like something taken out of an action movie rather than something that could really happen, and a lot of events were quite farfetched and not really credible. If you manage to get your head around that and just let yourself be swept away by a rollercoaster story, you will end up having a blast anyway. 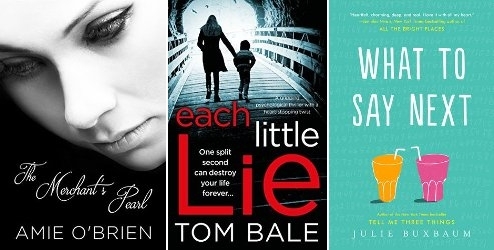 And if you like your thrillers to be intense and disturbing, you can stop looking for your next read. A little warning for the weakhearted: graphic and violent scenes are included in One Dark Night, so consider yourselves warned. There is no doubt that One Dark Night is a superfast, entertaining and action-packed thriller, with a few scenes so intense and graphic it almost borders on the horror genre. The situation of the family is horrific, and the story definitely has a Hollywood action movie feel about it. I had my doubts about the credibility of it all, but overall I still enjoyed the ride. And what a rollercoaster it was! I’m currently reading Demonglass by Rachel Hawkins, both because I wanted a proper Halloween themed read and because I want to try and finish as many started series as I can. I’m also starting Before Her Eyes by Jack Jordan, a book I’ve been really looking forward to since I highly enjoyed this other books. I’m happy to say Reboot was a success for me. First of all, a big round of applause for not having a love triangle! There are romance scenes of course, but somehow they didn’t bother me as much as I liked them together. The writing style is spot on for me and I’m definitely looking forward to read more of Amy Tintera‘s books after this. The writing draws you right in, and the dystopian world Reboot is set in is quite interesting. Not all that original perhaps with the virus and all, but entertaining enough anyway. The Darkness both has an interesting setting and a strong main character to build a story around. I really appreciated to finally have an older main character, and Hulda is without doubt a very interesting one to follow. The mystery around her past and the cold case she is investigating will keep you on your toes, making the slower parts less noticeable. And what a shocking ending! I definitely didn’t see some of the reveals coming. Talk about ending things with a blast… I will be looking forward to book two. There is just something about Adam Silvera’s writing style that draws you right in and keeps you invested until the very end. I was expecting another contemporary romance read, so I was more than pleasantly surprised by the science fiction like twist of this story. Of course I knew there were going to be sad moments because as the title suggests, both main characters will die before the story is over. But I really liked the idea behind the Dead Cast, Last Friend App and how they spend their last day together. Sci-fi with a romantic lgbt twist, and a whole lot of carpe diem before they kick the bucket. While I have to confess I’m not really a Christmas person (especially since I’ve been living in Argentina; having to celebrate with 30+°C temperatures just doesn’t do it for me xD), I do like reading a Christmas-themed story or two every year. There was just something about this one that caught my eye… It’s without doubt an entertaining read and I think contemporary romance fans will love this one. It was a little too cliche and all for me, but that is probably just me and not the book. I’m currently reading two creepy reads fitting the Halloween month and also book number three and four for the Charms Extra Credit readathon I’m participating in this week. 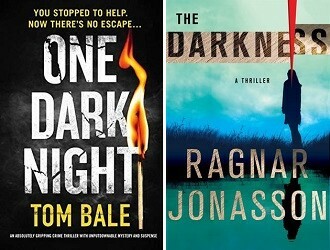 One Dark Night by Tom Bale and The Darkness by Ragnar Jonasson… I’m not that far into either of these, but both look promising from the little I’ve seen so far. While Tell Nobody without doubt still is a solid detective thriller, I don’t think it hit the mark completely for me this time. A lot had to do with the fact that somehow the main characters and their negative attitude started to frustrate me, and maybe also with the fact that I saw part of the final reveal coming quite early on. That said, the writing was as solid as always as well as the construction of the plot and plot twists. There are some difficult themes involved including child abuse and this story definitely isn’t for the weak hearted. The Walls Around Us isn’t your ordinary YA story. Strange, captivating. brutal, mesmerizing… You will be in for a ride with this one. You think this is just another thrilling crime story when you start reading, with a hint of a teenage Orange Is The New Black and a bit of Black Swan. But The Walls Around Us offers us more than that. It’s one of the first times magical realism is used in a story that didn’t actually bother me. Instead, the strangeness and beautiful descriptions took me on a journey along with the main characters, enjoying my time discovering what exactly was going on. The Passion According To Carmela is perfect for both historical fiction fans and those who enjoy a good complicated love story. You will come out both exhausted by everything that happens to the main character and having learned more about the Cuban Revolutions and its effects on the locals. Well written, well translation, well executed… It reads a bit slow at points, but the story is without doubt still 100% worth reading. 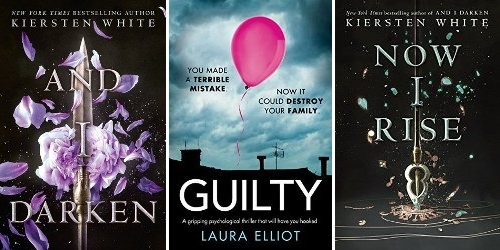 Closer is yet another solid psychological thriller I’ve read by K.L. Slater, and has only reconfirmed to me I will always have my eyes out for any of her feature reads. While not perfect, since I guessed part of the final reveals early on and found the ending a bit abrupt, the plot is still well crafted and the creation of the suspense is spot on. I always have a great time with her books, and Closer is no different. I really appreciated the discussion of eating disorder and bullying as well, since it’s something that cannot get enough attention. 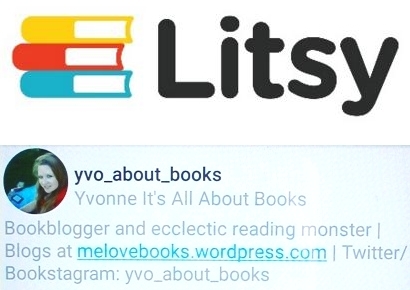 If you are a fan of the genre, I can highly recommend all of her books. There is one thing true: Love & Gelato makes you crave all kinds of Italian food. And the author did an excellent job at describing the city of Florence and the setting in general. It almost felt I was there along with the main characters! The setting was probably my favorite part of this story, and I liked the idea of the journal and Lina learning more about her mom that way. The writing makes it easy to fly through this story as well… But there were also a few things that really bothered me as well. 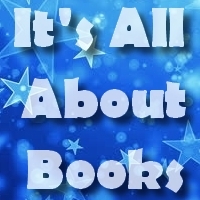 I’m no doubt going to pick my final readathon title up and hopefully finish it before Sunday: Reboot by Amy Tintera. I’ve been meaning to read this duology for ages, and if I like the first book I’ll probably read the second soon after. I also want to read Before Her Eyes by Jack Jordan very soon, especially since I loved his previous books and I’ve heard great things about it. I’ve also been eyeing my copy of They Both Die At The End by Adam Silvera even though it’s not exactly a Halloween read and all. My current TBR jar pick is still An Officer And A Spy by Robert Harris. I’m making a promise to myself to finally read it this month! I’ve been looking forward to read another Tom Bale thriller ever since I finished reading All Fall Down last year, so I was stoked when I heard a new thriller was going to be published. What stands out as soon as you start reading the first page is the writing style and how easily Each Little Lie is able to grab your full attention. And not only that, but Tom Bale is a master of plot twists and is able to leave you absolutely clueless about the what and why of the things that are happening to the main character Jen. 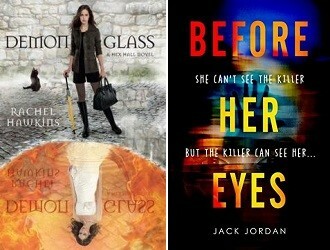 And that is a feeling I absolutely love when it comes to my psychological thrillers! 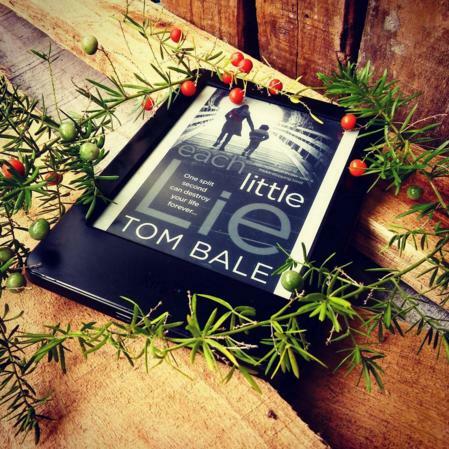 I do have to say that after All Fall Down I was expecting this story to be a whole lot more intense, dark and twisted… Don’t get me wrong, Each Little Lie is without doubt a great thriller, but the pace is a bit slower and overall the story just didn’t make the same impact on me. Especially the first half of the story, while intriguing and very well executed, felt a bit slow and left me waiting for a little more action. The second half mostly made up for that feeling and the final stretch of Each Little Lie was without doubt intense. There is also no doubt that the whole intrigue around what is happening behind the scenes is real and the plot twists and revelations are very well executed. I had a few theories about who was behind it all, but I didn’t guess the full truth about what was going on until the very end. As for the characters: they might not be exactly likeable, but their development is very realistic and it was especially interesting to see how Jen reacted AND acted to the things happening to her. All in all still a very good psychological thriller even though it wasn’t as intense or twisted as I was expecting. Jen Cornish is currently going through a nasty divorce and trying to make the best of the situation for the sake of her seven-year-old son Charlie. Then one day an impulsive good deed to help someone has turned into a disaster… Setting off a chain of events that will quickly go out of control. Jen is arrested for a crime she didn’t commit, but all the evidence seems to be confirming her guilt instead. Is someone setting her up, or is she losing her mind? If she wants to keep Charlie, she will have to find a way to clear her name… But that might be even more dangerous than she initially guessed. There is no doubt I really enjoyed reading Each Little Lie even though it wasn’t as dark and intense as I would have liked. The writing style is very enjoyable to read and manages to draw you in straight away; the plot and plot twists well executed to the point that you really have no idea who is behind it all for a very long time. And while I guessed some things right, there were also a lot of things I didn’t see coming at all. My favorite part of The Merchant’s Pearl is hands down the existence of many detailed descriptions of the inner workings of the Ottoman palace and empire of that time. It was really interesting to see how things worked back then and how life was for a concubine… The pace was a bit slow, but the writing style was beautiful. I liked most of the characters as well, although some of their actions started to annoy me during the second half of the story. But that might just have been me and my aversion to anything too overly romance/drama in the first place. 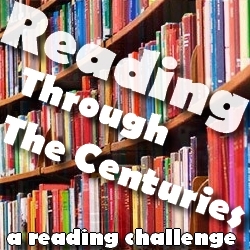 If you like historical fiction and romance, you will enjoy reading this one! Forget the fact that the whole contemporary romance scene normally isn’t my thing, forget the fact that this story in a way could be described as cheesy: I absolutely loved this story! Julie Buxbaum has done it again and is proving to be an exception to the rule… Because David won over my heart right from the very first chapter and is without doubt a new addition to my list of all time favorite characters. He is just so unique, adorable and well developed! I have a lot of ARC publish dates coming up, so unfortunately I still don’t have time for other reads… I still need to read The Lost Book Of The Grail by Charlie Lovett, an ARC that was approved a day before it was archived so naturally I didn’t get to it on time haha. I also need to read both Court Of Lions by Jane Johnson and The Stolen Girls by Patricia Gibney, although I’ll probably read the second first. What’s up with all those historical fiction ARCs publishing soon just when I’m in the mood for a good thriller?! I do want to finally read Aristotle And Dante Discover The Secrets Of the Universe by Benjamin Alire Saenz some time soon though. I still can’t believe I haven’t picked up that title yet! I was actually looking forward to Can’t Buy Forever as the blurb sounded quite interesting, but unfortunately I ended up having a completely different experience instead. I won’t repeat all the details I’ve mentioned above since I’ve already talked about each point extensively, but it does become clear it was far too easy to find things that didn’t work for me in the story. Was it just me or is the book to blame as well? I won’t be the judge to read the sentence, but at least I’ve put in my two cents. Four Days is without doubt less of a romance story and more of a road trip and sports-focused contemporary read. I really enjoyed the descriptions of the local scenery and the writing style was quite enjoyable to read. I liked the Dutch words popping up every once in a while and how sports played such an important role throughout the story. I wasn’t sure about the characters though and the steamy scenes were a huge turn off for me. But like I said before, if you don’t mind those you will probably enjoy this story a lot! I have more pending ARCs to get to, but luckily the pile seems a little smaller now… So I’m keeping my fingers crossed nothing interesting will come up for a while so I can get to my own books instead. 😉 I need to read The Lost Book Of The Grail by Charlie Lovett, an ARC that was approved a day before it was archived so naturally I didn’t get to it on time. xD I might read What To Say Next by Julie Buxbaum first thought because it has been calling my name ever since I was granted a copy! I also need another dose of mystery/thriller and want to pick up one of my own titles instead of an ARC just this once: Now You See Me by S.J. Bolton. Slip by David Estes is still high on my list as well. I’m currently reading The Book Of Whispers by Kimberley Starr, which I admit was mostly a cover-title obsession. 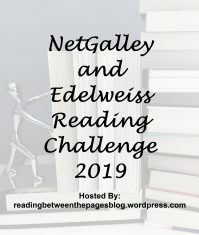 I didn’t realize before that it had such a low Goodreads rating OR the fact that demons play such a big role in the story, and I don’t think this one is for me… Besides the demon overload, I’m not really connecting to the writing style or characters either. 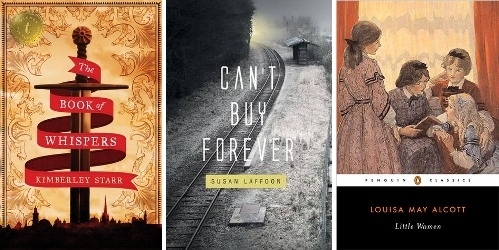 I’m about to start Can’t Buy Forever by Susan Laffoon as well; an ARC that I’ve had pending for way too long now. It took me a long time to finally pick up my copy of And I Darken, but I’m definitely glad I’ve done so. I’ve fallen in love with Kiersten White‘s writing style and her ability to create an extensive worldbuilding filled with excellent descriptions and an intriguing plot. And while it wasn’t the 5 star read I thought it would be after reading the first few chapters, there is no doubt a very much enjoyed reading Lada, Radu and Mehmed’s story and I can’t wait to find out what the future has in store. Guilty has without doubt a lot of potential and the plot itself is both complex and intriguing. The pace was a bit slow though and I had a hard time connecting to the main characters. They are not exactly likeable and this made connecting to the story a lot more difficult. The development of the characters over time is interesting, although I’m not sure up to what point some actions are actually credible. In short I ended up having mixed thoughts, but I can definitely understand why the right person would love this psychological thriller. And a last random note: the plinks just sound lovely! Ok I’m still recovering from this one so I need some time to get my thoughts together! No rating until then, but let’s just say it was GOOD. I really need to make a dent into my pile of ARCs so all four of these are just that… The first is The Weight Of Lies by Emily Carpenter, which I just HAD to pick up after all those glowing reviews. 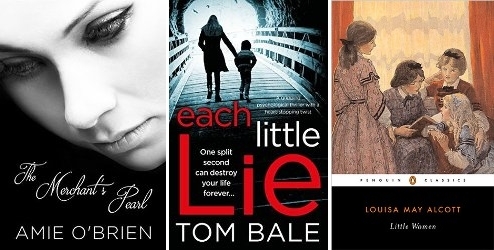 I also still need to read The Merchant’s Pearl by Amie O’Brien… And both Each Little Lie by Tom Bale and Slip by David Estes are high on my list as well.